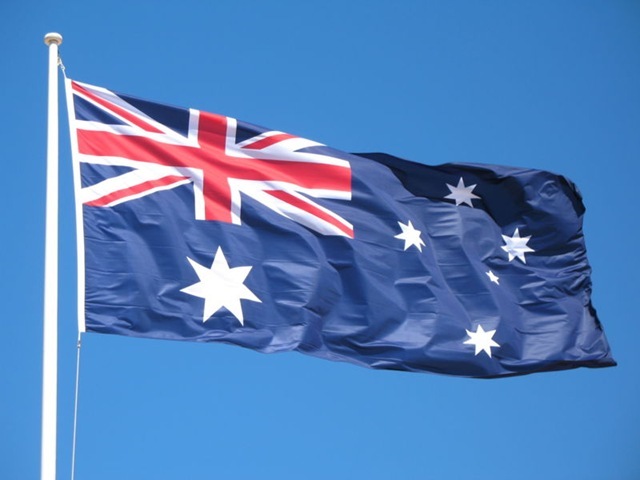 The flag of Australia is a defaced blue ensign: a blue field with the Union flag in the canton (upper hoist quarter), and a large white seven pointed star known as the commonwealth star in the lower hoist quarter. The fly contains a representation of the Southern Cross constellation made up of five white stars – one small five pointed star and four, larger seven pointed stars. The flag’s original design (with a six pointed Commonwealth star) was chosen in 1901 from entries in a worldwide competition held following federation, and it was first flown in Melbourne on 3rd September 1901; this date has been proclaimed as Australian National Flag day. Kylie Ann Minogue was born in 1968 in Melbourne, Australia and is currently 43 years old. She is a Singer, songwriter, actress, record producer, fashion designer, author, entrepreneur, Australian recording artist, songwriter, and actress. After beginning her career as a child actress on Australian television, she achieved recognition through her role in the television soap opera Neighbours, before commencing her career as a recording artist in 1987. Her first single, Locomotion spent seven weeks at number one in the Australian singles charts and became the highest selling single of the decade. Her debut album, Kylie ( 1988), and the single “I Should Be So Lucky”, each reached number one in the United Kingdom, and over the next two years, her first 13 singles reached the British top ten. Her debut film The Delinquents (1989) was a box office hit in Australia and the UK despite negative reviews. Kylie Minogue has achieved record sales of more than 68 million and has received notable music awards, including multiple ARIA and Brit awards and a Grammy award. March 2003: Awarded a Centenary Medal by the Governor General of Australia for “Outstanding Contribution to the Music Industry”. July 2002: Won “Best Chart Act” at the London Dance star Awards. March 2003: Voted in the Top 5 for Best International Singer and Woman of the Year at the “Maxim” Magazine Awards. September 2002: Won “Best International Dance Act” at the Italian 2002 Dance Awards. December 1994: Voted amongst the top 10 Best Albums, Best Single, and Best Female Solo Singer at the Smash Hits Awards in the UK. I chose to do a blog entry on Kylie Minogue because she is a very big hit all around Australia and is quite popular here as well. I really like Kylie’s songs because they stay nice and simple and her outfits are really nice and her personality is very natural. Hello, my name is Morgan and this blog entry is about my opinion of the Riverina Dance Festival entries. Abby, Isabelle, Jacob and Ali from Holbrook Public School sent us a DVD showing their dance and dances from other schools as well. I think that our link school, Holbrook Public School, performed a very interesting dance routine. I hadn’t seen a dance like that before. I especially liked the stunning costumes and the amazing choreography. I thought it was unique and also amazingly performed. I watched the other dances on the DVD. In some there was too much going on but most were very well choreographed. My two favourite dances were the “Boppin’ with Mary Poppins” performed by Murrumburrah Public School and “The Child Within” performed by Holbrook Public School. Holbrook Public School’s dance was so good that the pupils went on to the State Dance Festival in Sydney. And finally, I would just like to congratulate all the brave pupils and students from all the schools that participated in this successful and astonishing dance festival. I emailed our partner school, Holbrook Public School, and asked a few pupils questions about the dance festival they entered. They had a big success with their dance group at a State dance festival. Here are the answers they gave to my questions. Thank you for your questions and the interest you have shown in our dance. We are lucky to have dance at our school, including a dance studio and we all enjoy doing dance. 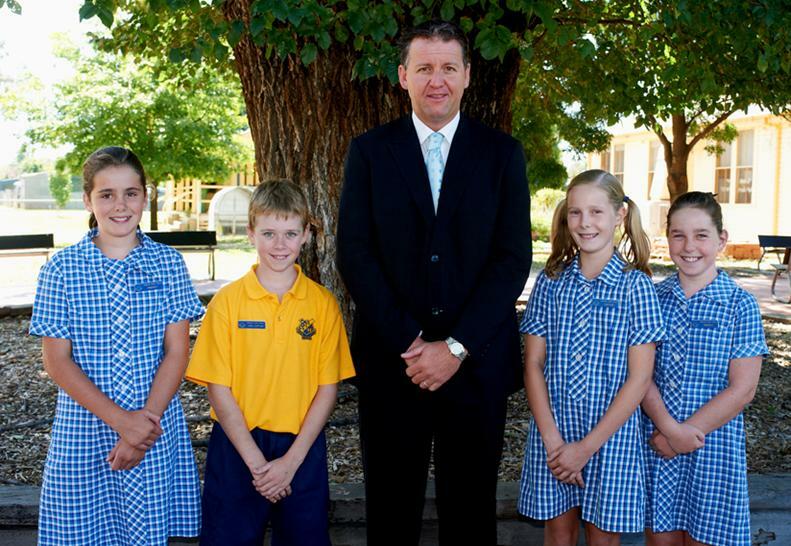 We have enjoyed going to State dance, Riverina dance and other things we have achieved through dance. Mrs Preston is a great teacher and we are very lucky to have her in our school. We all were all part of the school dance troupe and went to the State Dance Festival in Sydney and so Mr Weaven worked with us to answer your questions. Where was the festival held? Was the festival a dance festival or did they do other performances as well? How many other schools attended? It was over 5 days and included 6 performances, involving different schools each performance. There were 73 schools who performed, a total of 1500 students from the 2300 schools in NSW. Do you know how many people were in the audience? Each performance, the theatre would hold around 300 people. Did you do one dance or several? What music did you dance to? Was it hard to do? Did you have to practice a lot? Definitely – we were proud to be the first Riverina school chosen to attend the State dance festival and it was also at a very high level and it was an experience of a life time. I was very pleased to get a response and congratulate them on their success. Rock Wallabies are an interesting group of Australian animals that live on rocky outcrops. They are small animals, not taller than half a metre and they have very strong back legs that enable them to hop on the rocks. Rock Wallabies shelter in caves and rock crevices. Rock Wallabies live in colonies, the size of which depends on availability of food and shelter. Wallabies, like their close kangaroo relatives, have long tails for balance and large feet and strong legs for jumping great distances. Wallabies are members of the kangaroo clan found primarily in Australia and on nearby islands. All wallabies are marsupials or pouched mammals. 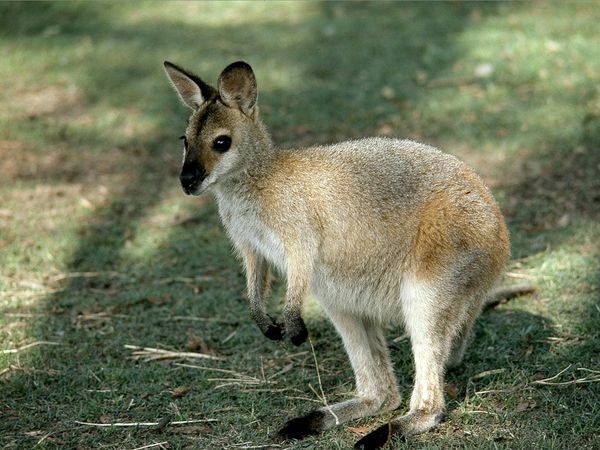 Wallabies are typically small to medium-sized mammals, but the largest can reach 6 feet (1.8 meters) from head to tail. Holbrook Primary KS2 pupils have been very busy creating works of detailed Australian art for a big competition. The contest has now closed and there are at least 50 pieces of art and I hope they all look very lovely! I hope very much most of them will go on display. Here are a few examples: a Koala bear made out of cotton; a Kangaroo made out of tissue paper. I am now going to interview Charlotte Reed about her astonishing piece of art that she has made for the competition. My first question is “How did you make the piece of beautiful art?” She replied, “My mum had drawn an outline of Australia. I painted it different colours and stuck on decoy animals”. I chose Charlotte’s work of art because it is very clear and detailed and I liked the little Koala bear! Thank you Charlotte for taking your time to answer these questions!